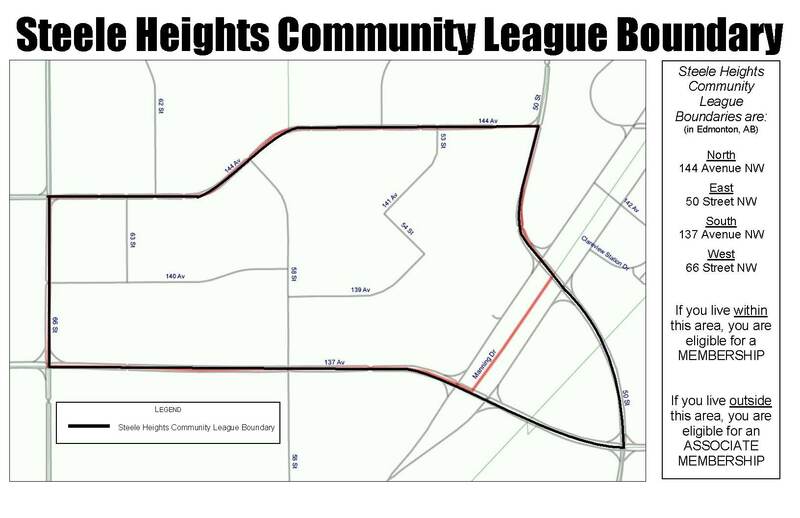 Steele Heights Community League is a volunteer-run, community-based organization that focuses on improving the well being of the residents in York Neighbourhood and surrounding area. We have approximately 4000 residents within our boundaries which are 66 Street on the West, 144 Avenue on the North, 50 Street on the East, and 137 Avenue on the South. We encompass all of York Neighbourhood and a portion of Clareview Towne Centre. Call 780-475-4188 to purchase a new Community League membership for the 2017/18 season. *Associate Memberships are for those who do not live or own property within the community league boundaries (66 Street on the west, 144 Avenue on the north, 50 Street on the east, and 137 Avenue on the south). These individuals are encouraged to purchase memberships from their own leagues and become involved there but are welcome to join our league if they wish. See our business directory for details. Free Community Skating – Receive your skate tags which allow you to skating at many of the outdoor community rinks around the city. Ask for the tags when you buy your membership. Please see efcl.org for more information. Look under Resources tab.